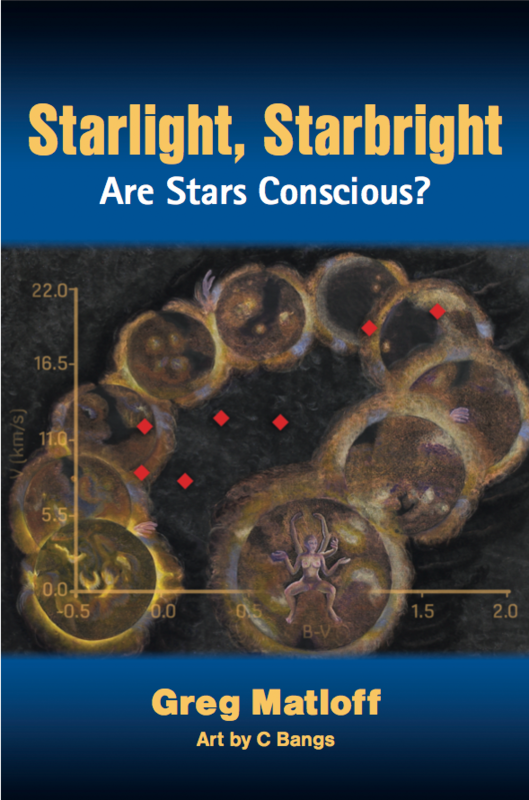 Star Light, Star Bright: Are Stars Conscious? 240 pages in full colour. 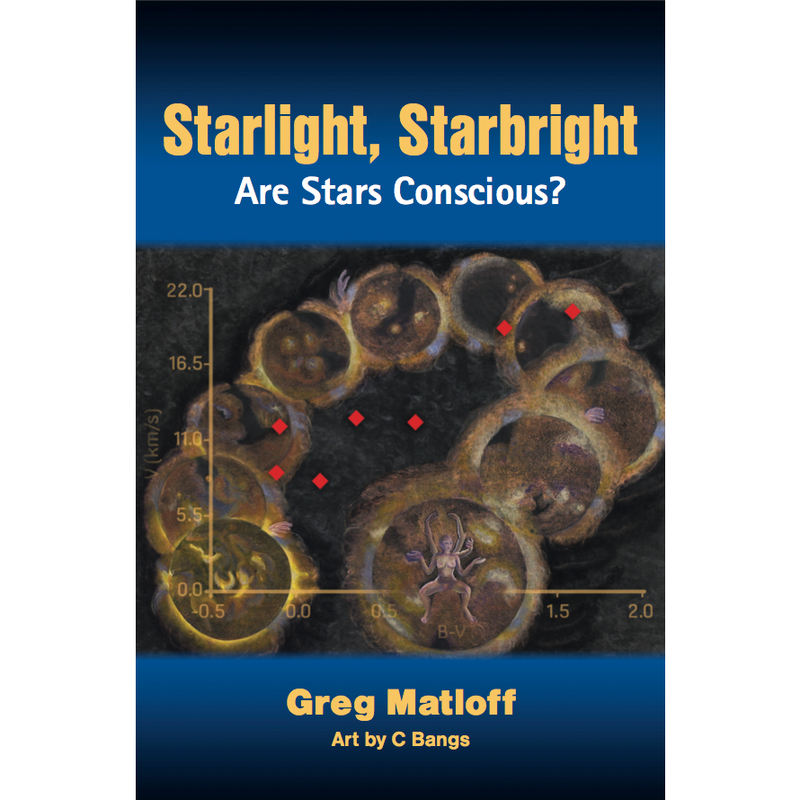 This book discusses the mystery of anomalous stellar motions, the failure thus far of the “dark matter” hypothesis to explain them, and why it may be time to revive the 1937 speculation, of British science-fiction author and philosopher Olaf Stapledon, that stars are in a sense conscious. The book incorporates modern astrophysical observations and speculations whilst considering the literary and mythological aspects of the topic. Many popular and technical references are included for those interested in pursuing the topic further. The only thing we can be absolutely sure of is our own consciousness. But what is consciousness? Is it a property that is unique to humans or do we share it with other life-forms? Or is the philosophical doctrine of panpsychism correct—are stars and the entire Universe conscious in some sense? Early chapters in this book examine the prehistory, mythology, and history of this topic. 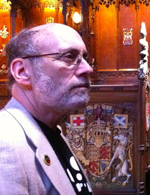 Arguments are presented from the viewpoints of shamans, philosophers, poets, quantum physicists, and novelists. A simple “toy” model of panpsychism is then presented, in which a universal field of protoconsciousness interacts with molecular bonds via the vacuum fluctuation pressure of the Casimir effect. It is shown how this model is in congruence with an anomaly in stellar motions called “Parenago’s discontinuity.” Cool, redder, less massive stars such as the Sun apparently circle the center of the galaxy faster than their hotter, bluer, more massive sisters. This discontinuity occurs at the point in the stellar distribution where molecules begin to appear in stellar spectra. Observations of main sequence stars out to ~260 light years and giant stars out to >1,000 light years using the ESA Hipparcos space observatory support the reality and nonlocality of Parenago’s discontinuity. Local, more conventional explanations for this phenomena are not supported by observations of other galaxies and spiral arms of the Milky Way. If position and kinematics data for ~1 billion stars currently being obtained by the new ESA Gaia space observatory demonstrate that Parenago’s discontinuity is a galaxy-wide phenomenon, the hypothesis that anomalistic star motion is due to stellar volition, as described by philosopher/author Olaf Stapledon in his classic novel Star Maker, will be strengthened, as previously discussed by the author in the peer-reviewed journal JBIS. Other observational support for panpsychism is considered as are future observational data that could support or falsify the hypothesis. It is not impossible that panpsychism is emerging from the realm of philosophy as a new subdivision of observational astronomy. Ramifications of this are that simple models of universal protoconsciousness may be subject to inductive tests using current and future space observatories. A special feature of this book is the chapter frontispiece art. Artist C Bangs has created digital collages combining photographs as well as public access astronomical and ecological images. Her efforts are directed at demonstrating the connection of terrestrial life to the Cosmos and the transcendental nature of a protoconsciousness field that pervades the Universe and interacts with all molecular matter. Her work is presented in the developing spirit of scientist-artist collaborations.